In samsung note 3 n900 mic problem mic not working problem, low voice can be solve in a few easy steps that are posted in this post. So read it carefully and see diagram bellow to solve mic problem in nokia 520. 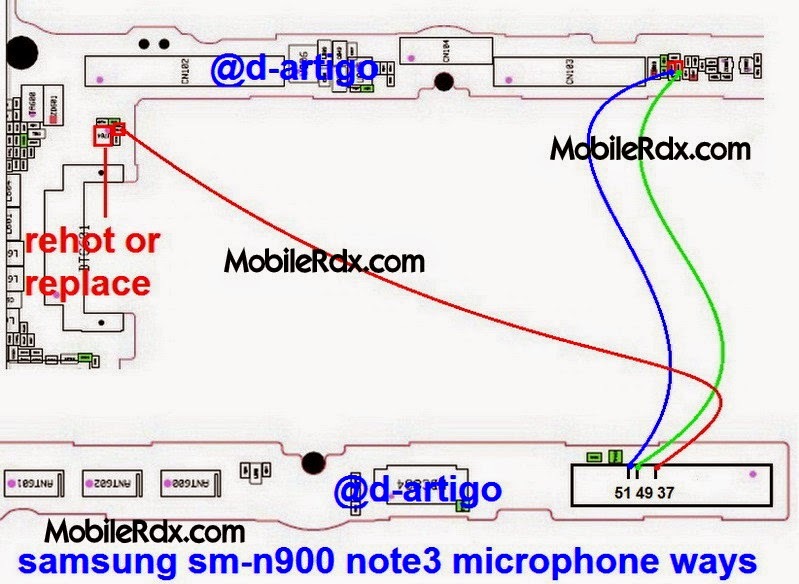 I have marked samsung n900 Mic Ways and Jumper points in this diagram but before you make these jumpers make sure that a faulty microphone is not causing this problem. Test it with an electronics meter or simply replace it with a new one.